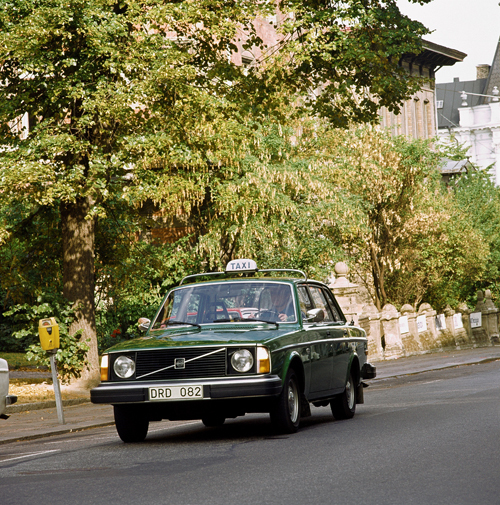 1976 – Volvo 244 Taxi on Viktoriagatan in Göteborg, in the back you can just see a small part of the famous Tomtehuset! 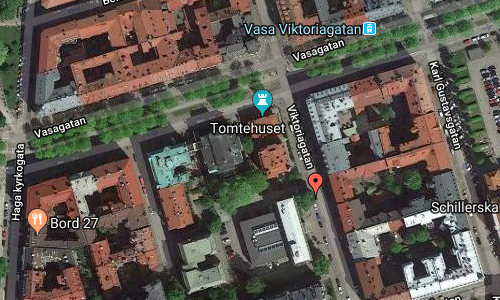 Viktoriagatan is a street in the districts of Vasastaden and Landala in Göteborg. It stretches from Nya Allén at Kungsparken and up to Föreningsgatan. 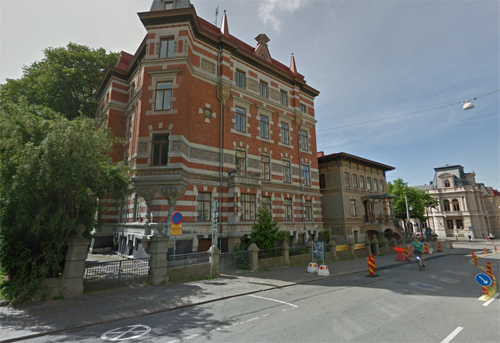 Viktoriagatan was named in 1882 as a tribute to the Crown Princess Viktoria, who came to Sweden via Göteborg for the first time in 1881. It was municipal politician Philip Leman who proposed the name. 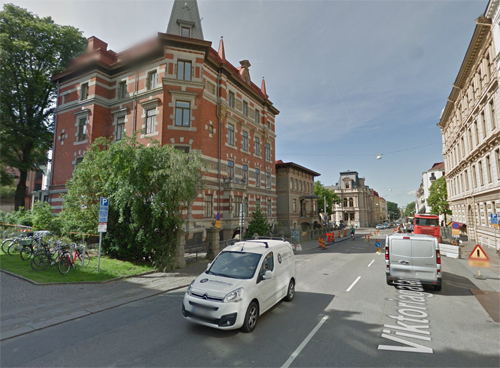 The street was previously a continuation on Magasinsgatan, called Upper Magasinsgatan (1867-82), between “pedestrian crossing of Vallgraven to Ulriceberg”. 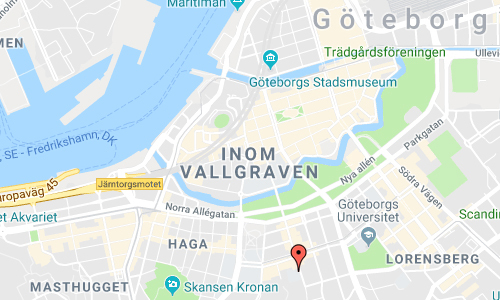 On its way to Föreningsgatan, passes Viktoriagatan; Parkgatan – Storgatan – Bellmansgatan – Vasagatan – Engelbrektsgatan and Thorildsgatan. In the photo with the Volvo 244 Taxi, you see a glimpse e the famous Tomtehuset. Tomtehuset is a villa-house in the Viktoriagatan / Vasagatan crossing. The house was built in 1890 for the publicist and riksdagsman Sven Adolf Hedlund after drawings by the architects Hans Hedlund – grandson to the builder – and Yngve Rasmussen. The house is a monument since October 25, 1982. 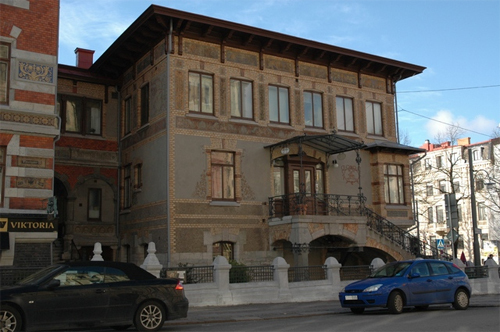 The house has two floors with a south-terraced floor and is built in brick with a facade with tiled surfaces combined with bricks. On the first floor there are all fresco paintings around the windows. On the second floor to Vasagatan there are murals that reflect the house’s first inhabitants and their occupations. On the paintings, plots appear as architect, book prints and photographer. The paintings are signed with the architects and Thorvald Rasmussen initials and dated 4/10 1890. Thorvald Rasmussen was an artist with tomter as special and brother to Yngve Rasmussen. If Hedlund and the brothers Rasmussen performed the paintings themselves, it is not entirely clear. In any case, the goalkeeper Q.W. Bergqvist engaged in painting works. The upper floor, originally furnished to photo studio, was rebuilt into 1920s housing, with a large glass window facing Vasagatan walled again and the roof changed. Otherwise, the exterior maintains its original condition. More information at goteborgshistoria.com and sv.wikipedia.org.